The US-led campaign against Islamic State militants in Iraq and Syria is a “mistake,” Russian Foreign Minister Sergey Lavrov said in an interview with Bloomberg TV. "Unfortunately, when the Americans announced this crusade against ISIL in Iraq and Syria, they never came to the Security Council, they just announced the coalition and they announced that the Iraqi government gave its consent," Lavrov told Bloomberg TV in an interview. "I believe it was a mistake. I think that just an obsession with the personality of [Syrian President Bashar] Assad is not bringing any good to the common cause of fighting terrorism." Russia is not against the actions of the international coalition against Islamic State (formerly known as ISIS or ISIL), but bombardment of the militant-controlled areas of Syria without the approval of Damascus authorities is a mistake, Lavrov said. When US authorities say that Assad cannot be considered as a legitimate partner, “we always remind them that he was perfectly legitimate when we went to the Security Council to adopt the resolution of Syrian chemical weapons disarmament,” Lavrov said. 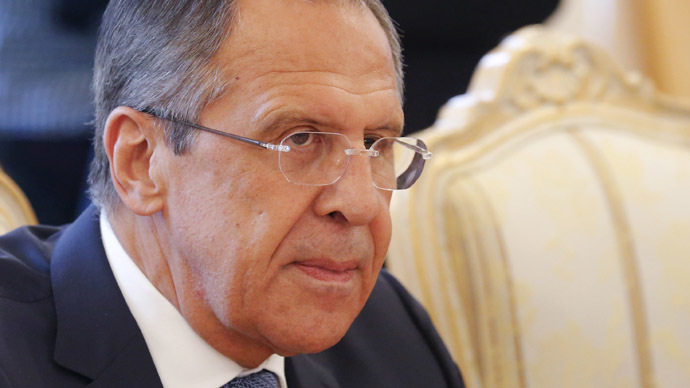 Russia’s FM added that it is not up to US government to decide who should be in power in Syria. “We certainly believe that only a political settlement is possible for Syria, and we also believe that the Geneva communique three years ago is the basis [for this],” Lavrov said. Those of the “outside players” have to decide what is a bigger threat: “the personality of Syrian president, or ISIL and [similar groups],” said Lavrov. By “outside players” Lavrov appeared to be referring to the US and EU authorities. Russia is not against the actions of the international coalition against Islamic State (formerly known as ISIS/ISIL), but bombarding the militant-controlled areas of Syria without the approval of the authorities in Damascus is a mistake, Lavrov said. Lavrov stated that Moscow has been providing weapons to the Iraqi government and “Americans were reluctant to do this because of some conditions to be fulfilled by Iraqi authorities.Everyone understands and publicly admits that just airstrikes are not going to do the trick,”he said.